Jinbei has introduced a simple manual speedlight with a built-in radio transceiver, called the Caler 580RF. Chinese studio lighting giant Jinbei has introduced a speedlight with a built-in radio transceiver. 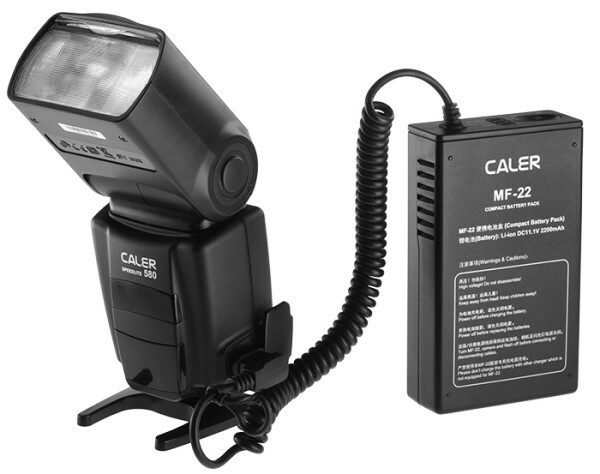 The Caler 580RF is a manual-power flashgun that can trigger or be triggered by Jinbei’s 2.4GHz wireless system. Like Yongnuo’s Speedlite YN560 IV, you can use it as a radio master or a slave without buying separate transmitters or receivers. There is also a non-radio version, the Caler 580. 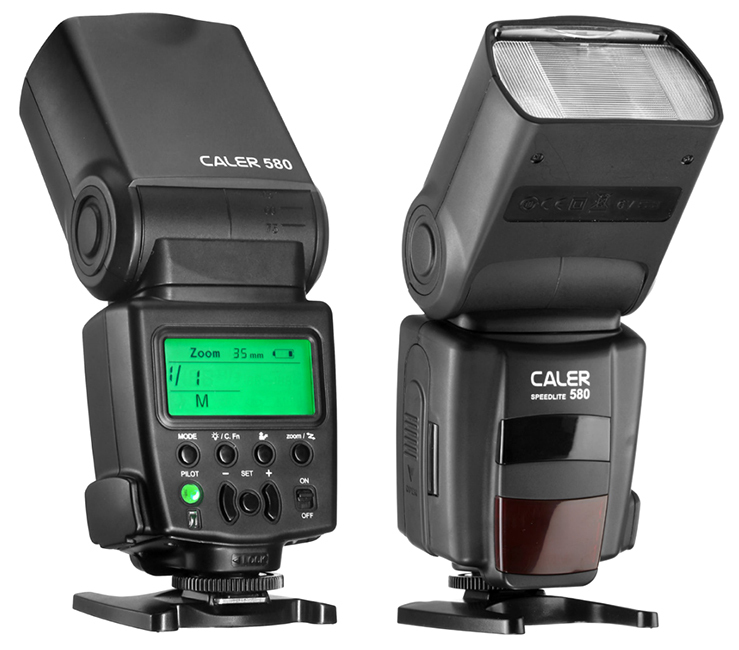 The Caler 580RF is Jinbei’s third “small flash” (after the MF100 and MF200) but the first to use a standard speedlight form factor. It runs on four AA batteries, with support for external battery packs, like Jinbei’s own Caler MF-22 and MF-44, to speed up recycle times. Controls are via a backlit LCD panel on the rear. There is a fake AF-assist panel on the front, suggesting Jinbei plans TTL versions in the same shell for the future. The radio function offers up to 999 groups with 8 channels for each group. You can use the 580RF as a master to trigger other 580RFs, or use Jinbei’s TRS-V transmitter on your camera to make quick remote power adjustments. 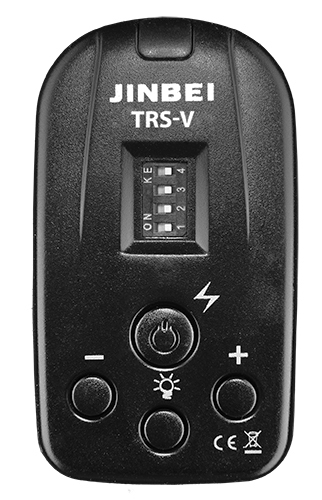 The TRS-V is the same device used to communicate with Jinbei’s other studio lights, so you might be able to synchronise studio lights and small flashes in the same lighting setup. The Canon-style external power port permits the use of high-voltage battery packs to keep your AAs going longer and to reduce the recycle times. Jinbei sells two packs of its own, called the MF-22 and MF-44. There is also a Prontor/Compur (PC) sync jack on the side of the 580 and 580RF. Pricing has not yet been announced and these flashes do not appear to be on sale yet. For more information, visit the Caler 580 product page.